Grace Alma Puryear, better known as “Nanny”, was born in the Spring Creek community on September 23, 1938 to the late Gernese Bynum. She departed this life on September 18, 2018 at Shoals Hospital in Muscle Shoals, Alabama. Nanny acknowledged her belief in Christ at an early age and joined Red Bank Missionary Baptist Church in Town Creek, Alabama and continued her worship at Jackson Chapel CME Church in Courtland, Alabama. She was a homemaker and loving mother. 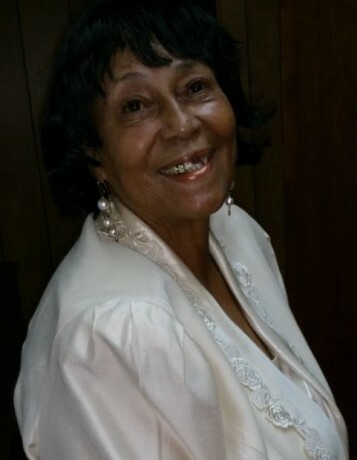 She is preceded in death by her mother; a loving husband and devoted friend of many years, Melvin “Bonnie” Puryear; brothers, Connie Harris, Ivory Harris, Willie B. Bynum, Ervin Harris, and Jessie Bynum; three sons, Melvin Puryear, Jr., Clyde Grady Puryear and Donnie Puryear. Nanny leaves to cherish her memories: a special friend, Darryl Orr; six loving daughters, Phyllis Mayes, Glenda Puryear, both of Courtland, AL, Cherry Bynum of New York, Nadine Langham (Roy), Dorothy Garth and Diane Puryear all of Courtland, AL; five devoted sons, Texas Shelby, Leroy Puryear (Linda), Carl Edward Puryear, Ronnie Puryear (Janet), and Floyd Wayne Puryear all of Courtland, AL; three sisters, Eula Mae Byrd of Tuscumbia, AL, Edna Bynum of Huntsville, AL, and Stella Bolding (Robert) of Courtland, AL; two brothers, James Harris and John Harris both of Courtland, AL; grandchildren, great grandchildren and a host of nieces, nephews, cousins, and friends.